s e p t e m b e r 14 | 11. - 17. I think that’s great: we can now be shamelessly curious! We are allowed to stick our nose into someone else’s flat and knock on their doors unannounced. 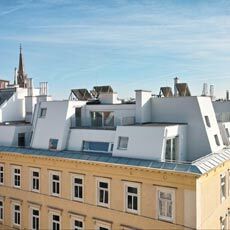 This weekend 70 (often private) buildings in Vienna open their gates and ask you in, giving you an opportunity to get to know the city and its architecture from another point of view. The event is called “Open House Wien“- this architectural project was initiated in London and by now takes place annually from New York to Tel Aviv in 23 cities. Open House shows buildings with an exceptional history, a special flair, thrilling architecture or an interesting concept. Buildings on the outskirts take also a curtain call in Vienna in the first year, after all architectural jewels are not only to be found in the inner-city of Vienna. You can visit the “Tunesian village”, the village on the roof, as well as the Microsoft Headquarter, the f6OpenFactory in the former pony shed and Vienna's first straw house. And of course, this glimpse through the 70 keyholes is free of charge! P.S. Did you know? The new book of the CitySpotterGirl is all about “Wiens besten Mittagstisch“. For test reading or to buy this book: Web. Chillaxed! From today to Sunday, the MuseumsQuartier is being transformed to a pretty cool reading room – StadtLesen is the flavor of the week. This means: comfortable beanbag chairs and about 3000 books are placed there, waiting for you to browse them. It is getting even more comfortable on Sunday, because you don’t even have to bother reading yourself. Alfred Komarek, who is a famous writer of detective novels about Polt, presents at 5 p.m. his brand-new book “Schräge Vögel” (The Odd People). It is a tribute to all the people who dare to be different. 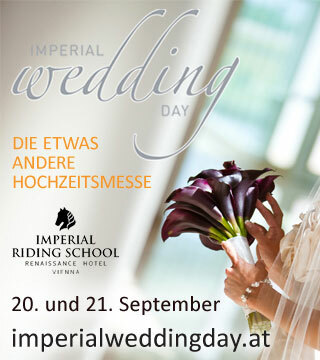 Daniel Spoerri, Bodo Hell, Heini Staudinger are some of the portrayed people. Everytime Franz Wittenbrink acts out a play, it becomes funny and bizarre. The stage director and composer is famous for his works that are something between a play, a musical and music theatre. Only one thing is for sure: the actors don't speak, they sing. The play this time is all about women, obsession with beauty, body dissatisfaction and about the most urgent questions of our life – all to be found in the ladies fitness studio. And because he was not allowed to enter such a studio for his research he came up with the idea: “I will ask my daughters to do it”. Today is the debut performance and Wittenbrink plays the piano himself! Did you know that in the inner-city of Vienna you can find a bakery, where they have been baking bread since 1536 (!)? The former name of this bakery was “Zum großen Ofenloch“ (The big Stove Door), today its name is plain and simple “Grimm”. If you want to go backstage at this traditional bakery and want to know how they bake a kaiser roll, how they prepare the pretzel rods or how they make bread, you can do this today. And if you want to put into practice everything you learned that day, you will find the ingredients you need – rye flour, spelt flour or sour dough – right here in the bakery. Well, well, well, what do we have here? Since recently Vienna has a café for people suffering from allergies. Ggraphic designer Franka Rothaug came together with her mother Margret, an environmental adviser, to open a small café, where even the most desperate allergy sufferers can find something to eat. Their cakes have all good-sounding names like „Herr König“, „Katinka“ or „Momo“ and are guaranteed without any gluten, lactose or nuts. You can also eat cakes without any eggs, without fructose or tortes poor in histamine. Today they celebrate their opening – with sample dishes and a big choice of cakes. Oh yeah, all those bad buys and retail therapies, we all know them very well. And what should we do with our (unworn) skirts, coats, pants, blouses, sweaters? 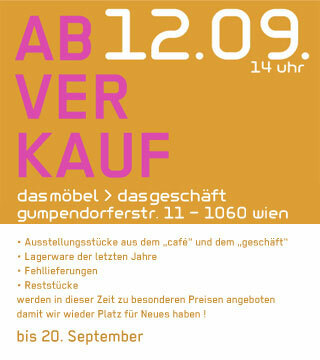 For those of you who are not keen on selling your clothes on a flea market, there is another option: It is the first second hand pop up store in Vienna! For the next three days you can get rid of your burden and rummage through bags, shoes, dresses and more, searching for the ultimate bargain. Nice designer clothes and well preserved everyday clothes can be found here in all sizes- from 36 to 56. And there is also prosecco! Fitter honeymooning! For all the bride-to-bes, those freshly in love, and of course for everyone who loves ballads can now start burning fat in the most romantic way. During this Honeymoon-Workout, elegant choreographies and delicate footsteps are combined with love- songs. The effect: your stamina increases, your metabolism is encouraged and your cardiovascular system is strengthened. It is no surprise, having that soundtrack: you will be working out to the sentimental songs from Bryan Adams, Lenny Kravitz and Roger Cicero, till the cows come home. Pro sequence you will burn at least 400 kcal. Do you fancy second-hand antiquarian items, vintage style & more? If that’s the case, then strolling through late summer Augarten can be warmly recommended. You can stroll through antiquarian books, trinkets, records and CDs, plants, flower boxes, vintage clothes, design from the 50’s and 60‘s, synthetic materials from the 70’s and strange treasure troves from the last 200 years. This time travel takes place in the pub garden of the Bunkerei, but at bad weather conditions, the flea market will be moved inside the bunker. For the enhanced pleasure of yours, there are small concerts in the afternoon. Can kinesiology prevent migraines? How is Feng Shui actually working? A lot that is worth knowing on the subject of energetics can be found at the three-day event “Energethikerstadt”: the biggest specialized fair for body, mind and soul. A group of experts informs you about methods and techniques: sound massages, yoga, numerology, Jin-Shin- Jyutsu. 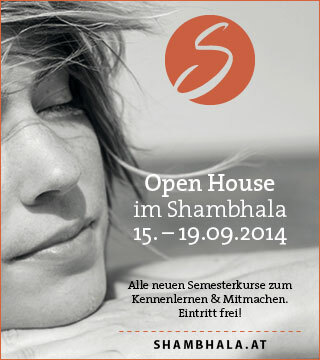 Try-out-Workshops, presentations and short treatments are included in the free entrance. As an example you can try the “2 points method”: Renata Proske will show you how a soft touch can release physical and psychical blockades! We’ve been waiting for this day to come! Today, the Markterei celebrates premiere, and will become the next favourite Saturday activity for the CitySpotterGirl. Vienna’s first "Neighborhood Market" wants to bring consumers and producers closer together, and to become an alternative to the anonymous supermarket. They sell only high- quality regional products – vegetable from Langenlois, buckthorn salt from Mostviertel, homebrew as well as cakes from “Die Süße”. In addition to all this you can enjoy nice DJ-Music here and you will have a lot of space to comfortably chat and eat. Every month from now on. The emperor Franz Joseph constructed a palace in the gigantic Lainzer zoological garden in 1881 for his wife, who was fond of travelling, in order to keep her for a longer time in Vienna – but in vain. Sisi never slept in the Hermesvilla. Nevertheless she called this romantic domicile her “dream palace” – and this palace can be visited today, free of charge. You can also enjoy presentations about the extravagant empress, a photo story about her funeral or take part in the guided tours in and around the Villa. You can also see places that are normally closed – the old basement, for example with Vienna’s oldest central heating system. Off to the streets, we’ll seize the city! Babenbergerstraße turns this weekend to an urban festival area: with breakdance workshops, Silly Walk Competition, Urban Knitting, dancing karaoke, young music scene and free hugs. In the middle of this colourful hustle you are invited to stay for a while by the Urban Gardening Insel – a wish automat that can change your life forever is also included. Still can get enough? FM4 organizes a treasure hunt to find the kidnapped princess and the Kunsthistorische Museum hangs their Old Masters on the streets and in the park. Just brilliant. Do you know that the revival of the “Discofox” takes place at the moment? For all of you that want to dance the “Fox“ on the dance floor or just want to be shaking your leg again, 30 classical dancing schools in Vienna open their studios today. On the open house day every visitor can try their favorite dance moves from 18:00 till 21:00 or just renew their dancing skills. If you are into dancing you can learn more about the schools, what they offer or about the dance instructors: the agenda includes standard dance, Latin-American dance and modern dance. A chair must possess four legs and an armrest, says who? The unusual chairs and the stools from the past centuries defy being four legged and one armrested – for the joy of ours! At the auction in Dorotheum you can find all kinds of uncommon chairs and bid for them at affordable prices: starting with a wooden rider seat, you will also find carved armchairs and a lovely school desk or a Fauteuils (wingback chair) in Art Deco style (extendable!). And if you still remember and like the game “musical chairs” you can win an original Roland Rainer stool! It is something new from the retro rogue: Sir Tischbein earworms today with his music ensemble, in which clowns are making fuss, a dog plays records on a gramophone, and songs are performed as soon as someone shouts their title. The smart musician from Vienna, who is always accompanied by his dog Pascal, garnishes his songs with funny lyrics and dreams of a world, where all the “prohibitions are forbidden”. In his new revue you can hear modern beats combined with the scratchy sounds of a record – a mix of swing from the 20’s, modern cabaret and new songs. Be the sharpest knife in the drawer! In the TCM culinary studio “Die Pause” you can take part in a bit different Do-it-yourself-Workshop today, quasi a dangerous one. Andreas Lorenzi, a cutler explaines the basics of knife-grinding and helps you to whip old knifes into shape. Each participant is allowed to bring three knifes in need of care and grind them on Japanese boiler scale, under the expert’s instructions. The nutritionist Sabine Dobesberger serves afterwards a hearty portion of curry. Ready, set, go! 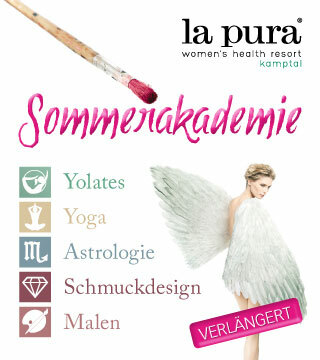 Starting this week, we are exercising weekly together as part of the “Frauenlauftreffs”. This workout program addresses ladies, who want to run on a regular basis, according to a training schedule, made by fitness instructors. And that is all for free! 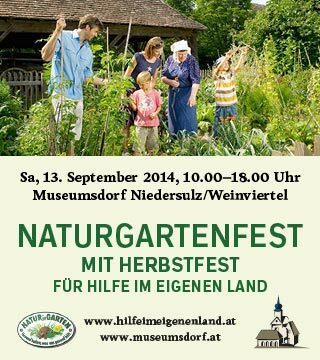 You can choose among fifteen exercising locations in Vienna, on Tuesday Türkenschanzpark is on the schedule. The groups are formed according to the level of difficulty – so it doesn’t matter if you are a beginner, a returner or an advanced runner. A world of beautiful things: Not that long ago the shop Nice Stuff went online – now they have their own storing place in the 15th district, where an open house takes place for four days now. It is a perfect opportunity for all the fans of the famous Danish lifestyle labels Bloomingville und House Doctor: 10% discount on all those nice home accessories- from pillow cases to breakfast dishware! In addition to all this, you can find fancy items like porcelain in 50’s style, kitchen textiles and Shabby chic-decoration. The master of meditation Geshe Kelsang Gyatso brought the modern Buddhism into the West- he explained Buddha’s teachings as genuine and as a key to a happy life. How to understand this, explains his student, a buddhistic monk Gen Kelsang Nyima in todays presentation – and he addresses Buddhists and Non-Buddhists equally. The main questions: What is modern Buddhism? How do we achieve sense and fulfillment through spirituality? How can Buddhism help you to become happy? It is probably the most unusual business seminar, which takes place at the moment in Vienna: Cameroon-born Beatrice Achaleke presents in her workshop the so called “GloBUNTUkoffer”, which should transform your life to a singularity in five steps. In the process you should go 20 years back in time, take your life suitcase and travel back to the present day, clear it out and prepare it for the future. The African philosophy of life, “UBUNTU”, complemented with a creative visualizing will help you to achieve this. Plus: a large portion of fun and joy! The classification into categories like shops or pubs is currently not that easy in Vienna. Nearly every new opening is a great mishmash. And that goes for the new Addicted to Rock Store too – a wild mix of cafe, bar and fashion. As a start you drink coffee while you are enjoying the finest rock music, then you can rummage in the own brand collection and afterwards you eat (maybe in a new outfit?) Austrian tapas and sip on cocktails. When Gaia from London comes to the store, she paints on Converse and the TrueYouCrew pimps boring clothes up. It rocks! It feels like we are in New York here, doesn’t it? In a splendid location, in the Venetian-style Dogenhof, a bunch of creative people is bustling around (all of them a bit inclined towards eccentricity). They sell Polaroid films and cameras there (the boss saved Polariods with his company Impossible), they record a record in the Music Elevator (everyone can do it for 15€) and they can press poetry on the good old printing press. And this place is a cafe as well: with a tiny menu, perfect coffee and the best ham ever. Heavens, isn’t that just great?